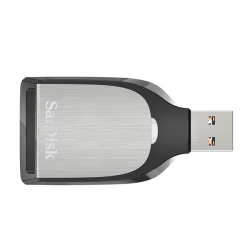 SanDisk Extreme PRO SDTM UHS-II card reader / writer designed to enhance the efficiency of workflow design, suitable for professional photographers and videographers. 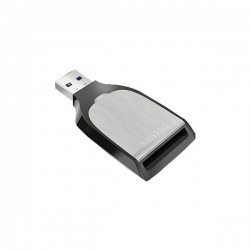 This card reader is compact, which can be carried to the work site, to meet the high demand of UHS-II memory card technology, support the rapid transfer operation. 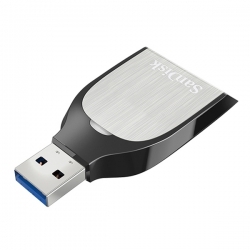 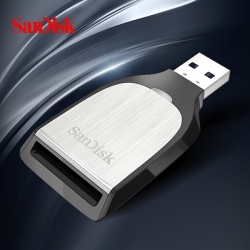 SanDisk Extreme PRO SD UHS-II read / written by USB 3 machine interface (and USB 2 compatible), collocation SD UHS-II memory card, you can fully meet the demand of performance and efficiency.